Much like a recipe is only as good as its ingredients, a garden is only as good as its seeds. Choosing seeds can be quite overwhelming. I’m hoping today’s post will make it a simpler process. I’ll cover where to get your seeds, how to choose the type you want and best of all, I’ll cover what are the jargon on the seed packet means. 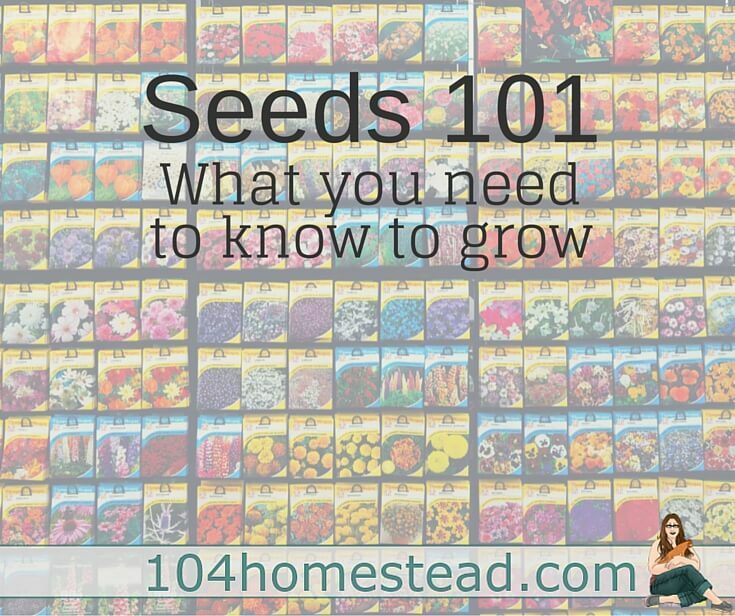 When it comes to buying seeds, my first choice is usually to buy seeds from a local company. Why? Local seeds are already acclimated to grow in my local temperatures, humidity, and growing season. Seeds that perform really well in the deserts of Arizona will not do as well in the short and chilly growing season of Vermont. If the seeds I want to get aren’t available locally, sometimes I have to shop online. There are a few online seed sources I really like. Mary’s Heirloom Seeds offers over 280 varieties of open-pollinated, non-GMO, non-hybrid, non-patented, untreated, organic, heirloom garden seeds. That’s a mouth full! Basically, for your basic seed needs, Mary has you covered. We get the majority of our seeds from Mary’s Heirloom Seeds. Baker Creek Seeds offer some rare seeds that you might want to find a place for in your garden. I am head-over-heels about their lettuce collection. Don’t think lettuce can be exciting? Dress up your salads with pink splashed, purple, and ruby red lettuce. My kids love picking out what color they want their dinner. Seeds of the Month Club is great when you enjoy experimenting in the garden. For just a few dollars a month, you get four packets of seeds in the mailbox each month. You can see my full review of them here. The thing I love is that they send seeds I might not have purchased on my own. This introduces me to some really cool new herbs and vegetables. All seeds from Seeds of the Month are open-pollinated, heirloom seeds, so you can save them year to year. If you need to learn how to save seeds, check out this guide. American Meadows has a large variety of seeds available and they offer free shipping. Not all their seeds are organic, but there are a lot of options to choose from that are. Their pricing is very reasonable and, again, free shipping is super cool. I like that they have a zone calculator right on the site so you can have them only show seeds that will grow in your own area. GMO Genetically Modified Organism. Basically, the seed’s DNA has been modified in a way that wouldn’t have occurred in nature. See my thoughts on GMOs. Hybrid Seeds produced by cross-pollinated plants where crosses are specific and controlled. Hybrids are meant to improve characteristics such as yield, uniformity, color, and disease resistance. Organic Seeds cannot contain genetically engineered traits and must be grown in certified organic soil in regards to fertilizing and pesticides. See my thoughts on organic. So where does all of this come into play when purchasing your seeds? You want to look for these things when reading your seed packet. The last thing you want is to purchase 8 indeterminate tomato plants when you allotted space for 10 determinate plants. Every brand of seed is a bit different, but here are a few of the things you should see on the front of your seed packets. The type of fruit/flower/vegetable seeds (Brussels Sprouts) you are getting. A picture of what the brussels sprouts will look like once they are ready to harvest. The name of the seed company, in this case it’s Mike the Gardener Enterprises, and contact information. Some companies have a website that points to growing information. Other things you might find on the front of the seed packet include references to let you know if the seeds you are purchasing are disease resistant, how they can be preserved, and whether it needs a certain type of sun or soil. Ever brand of seed has a slightly different way of laying out their seed descriptions, but this is what you should find on the back of your seed packet. Reiterates what type of flower or vegetable the seeds are. In our case, it’s brussels sprouts. Gives a brief description of the plant. It may tell you what this variety is best used for. In this example, it offers growing tips and lets me know it’s good fresh or frozen. The planting chart for these particular seeds. The chart tell you how many days it normally takes for these seeds to germinate (7-14 days), how many days after germination the brussels sprouts will be ready to harvest (100-110 days), how deep to sow the seeds (½”), and how far to space them out (30″ between rows / 2″ between plants). Gives you detailed information about sowing the seeds, and then how to thin out the seedlings once the seeds have germinated. A suggestions/care section. Not all seed packets will have this. It gives you suggestions for growing this particular vegetable. When to harvest since the harvest date is merely an estimate. There are some vegetables that are important to know signs of harvest for. Broccoli is a great example. One day it’s too soon and a few days later, it’s too late. The back of some packets may also include contact information for the seed company. Some companies offer additional growing tips through their website or a 1-800 number. Some seed packets have expiration dates. Seeds don’t really expire, but germination rates might go down over time. You can test germination using this method from Grow a Good Life. 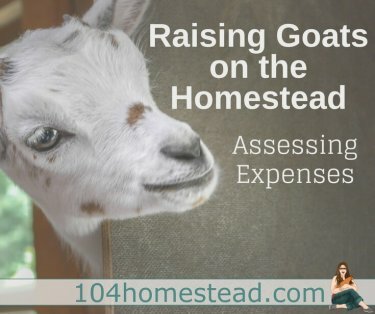 Some of this may be easy-peasy for those that have some growing years under their belt, but for others, it might be helpful. Even avid gardeners can learn something from the easy-peasy stuff. In the past, I grew heirlooms because everyone goes on and on about how great they are. Why? Because you can save the seeds. Do you know how often I’ve taken the time to save seeds? Rarely! I think I might go with organic hybrids this year and see how it goes. I do tend to be a bit rebellious in my gardening endeavors. What sort of seeds will you be growing this year? Great information! Thank you for using our seed packet as your tutorial. That was a great honor. Congratulations! This post is being featured at Green Thumb Thursday! Feel free to grab our featured button and our link and place in on your post or sidebar. Don’t forget to link up with us again this week! Thank you so much! That is quite the honor!